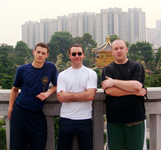 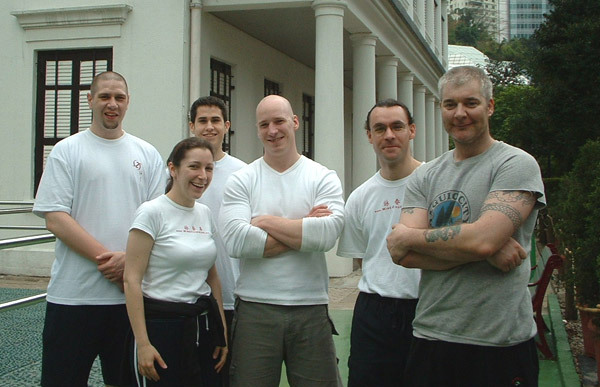 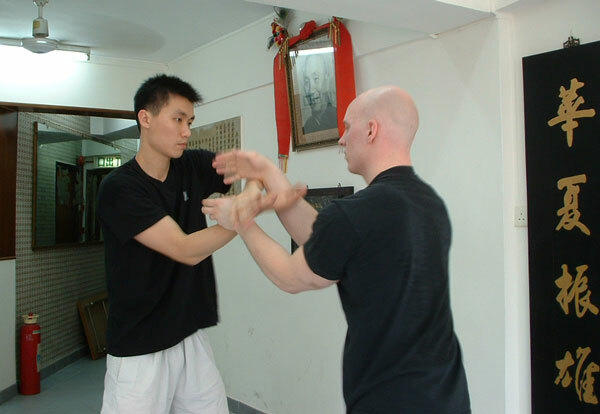 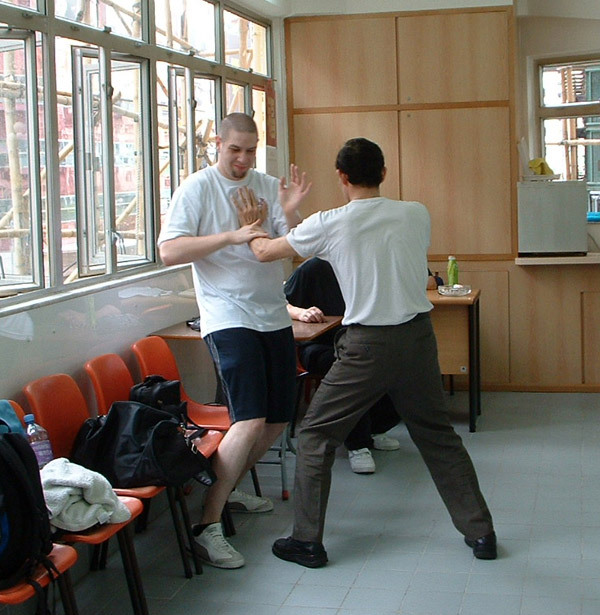 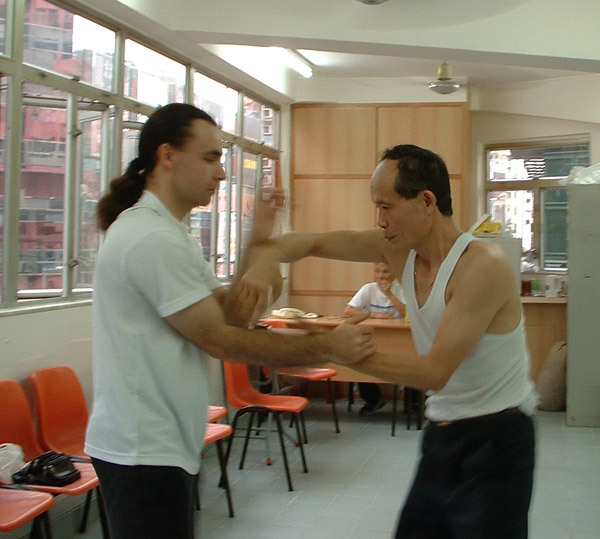 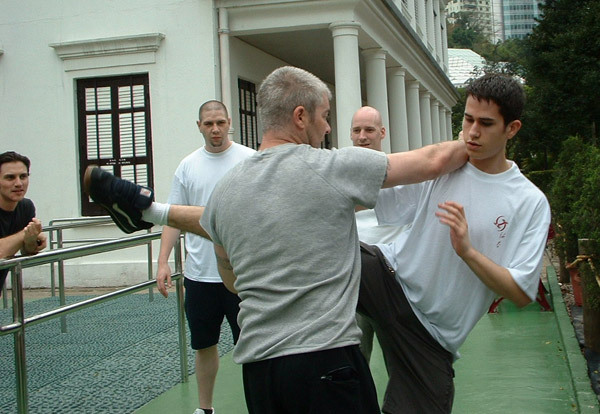 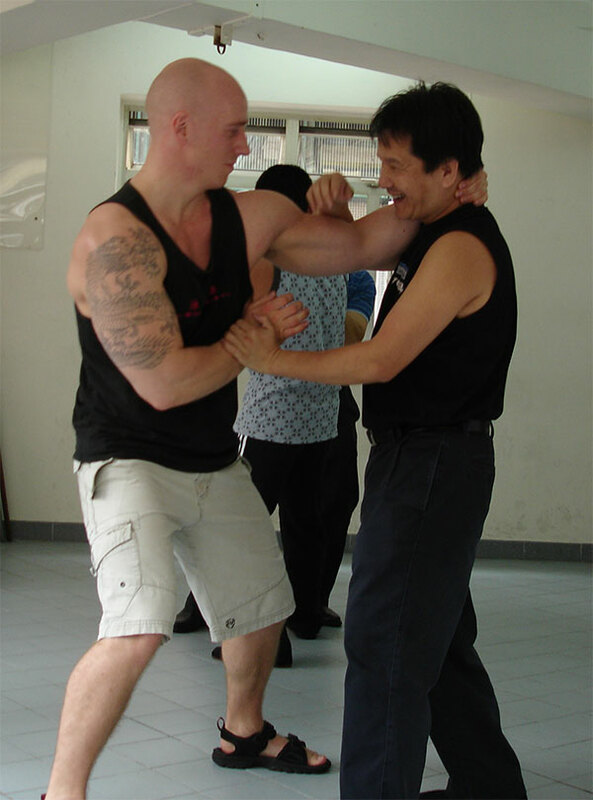 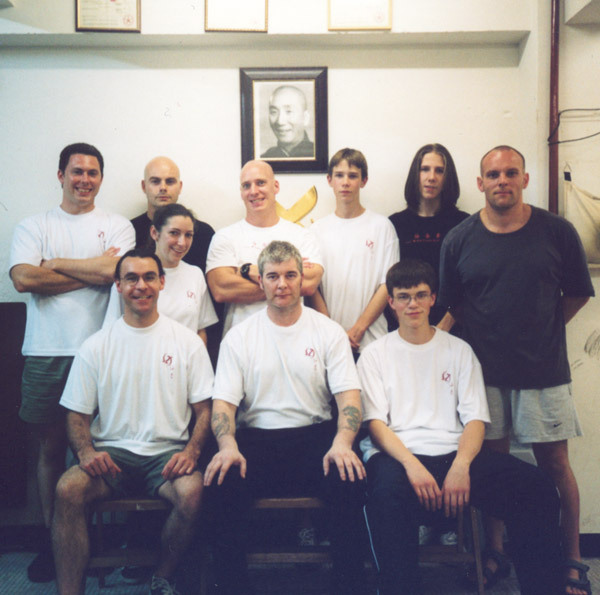 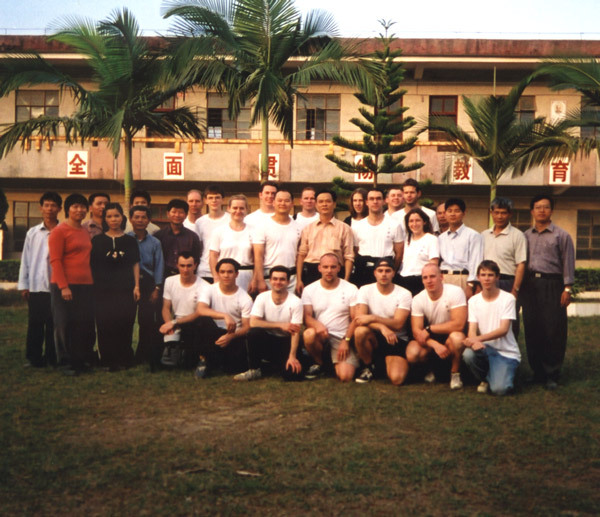 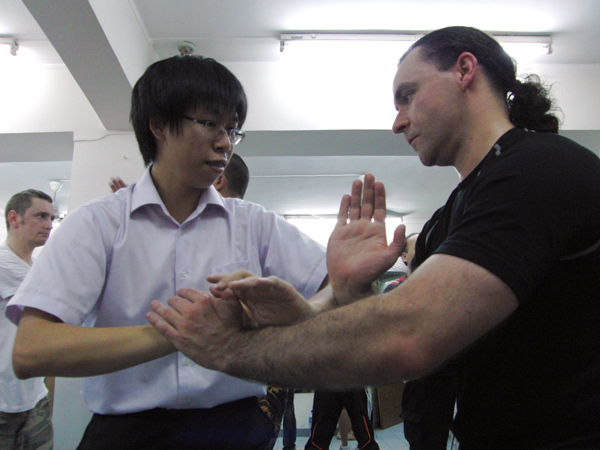 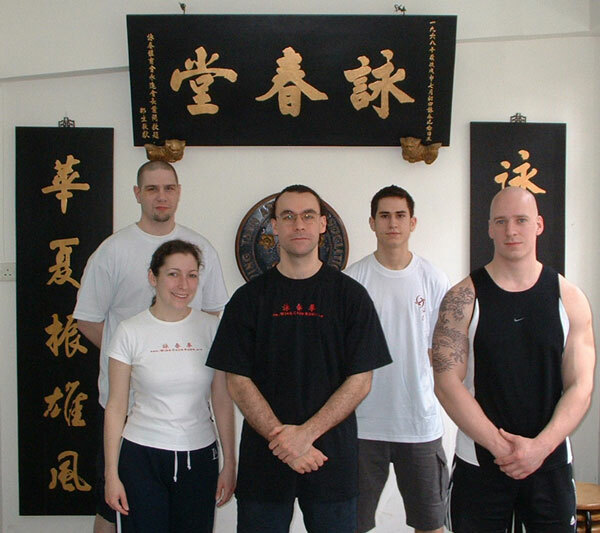 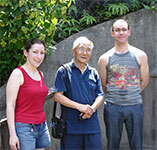 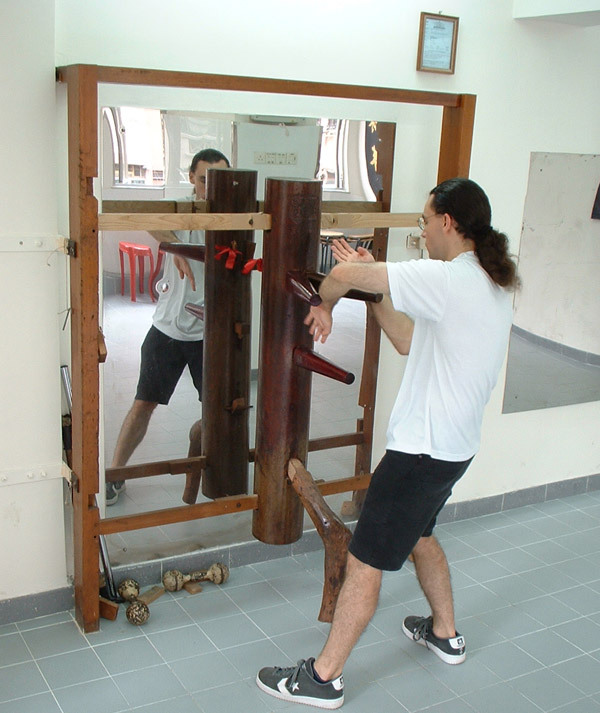 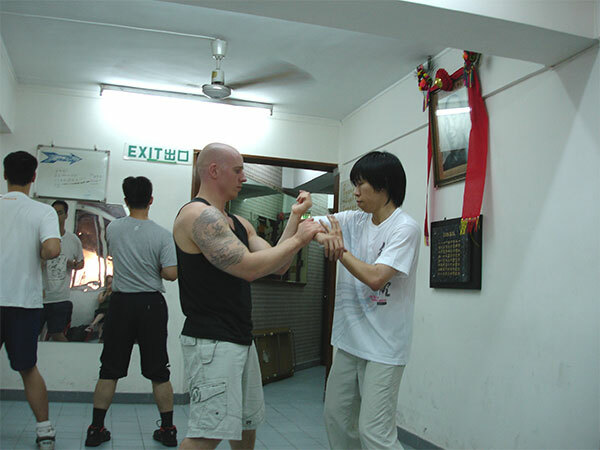 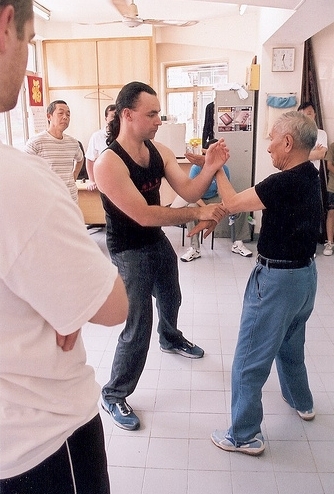 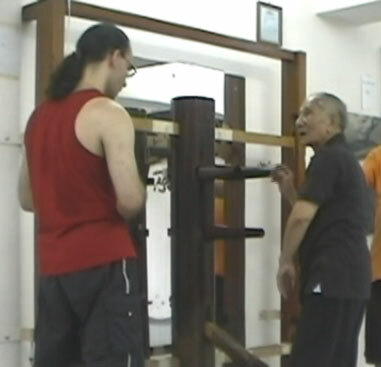 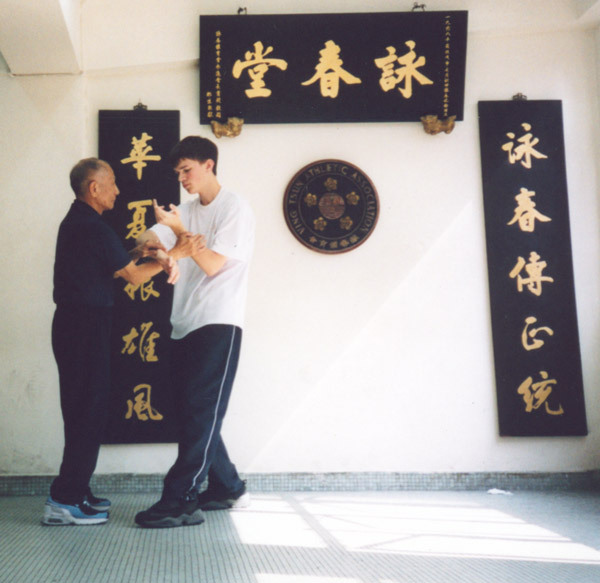 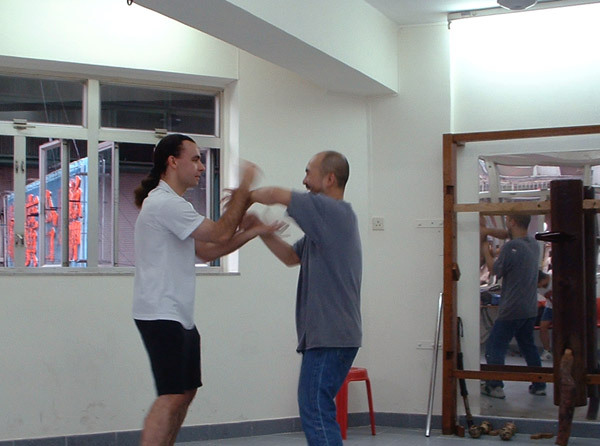 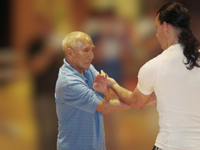 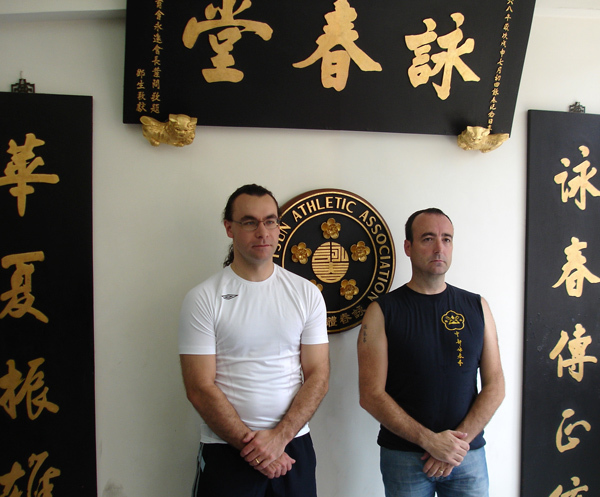 Our club has the pleasure of visiting Hong Kong to train at Grandmaster Ip Chun's club in Kowloon. 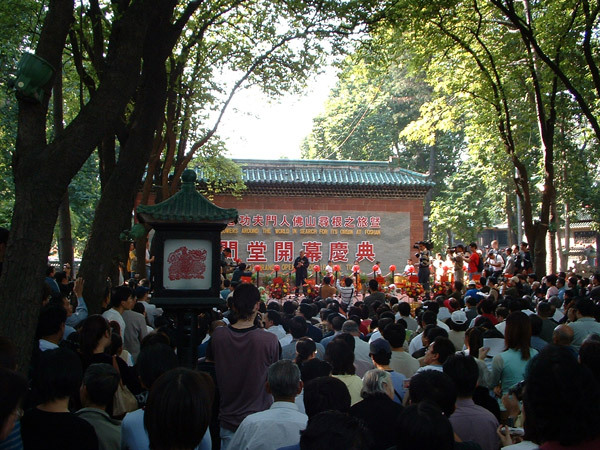 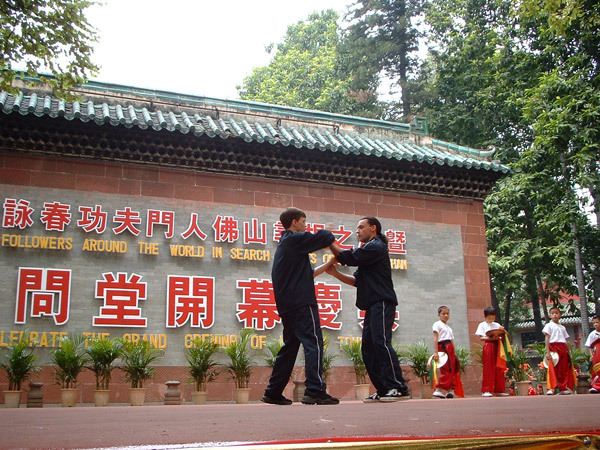 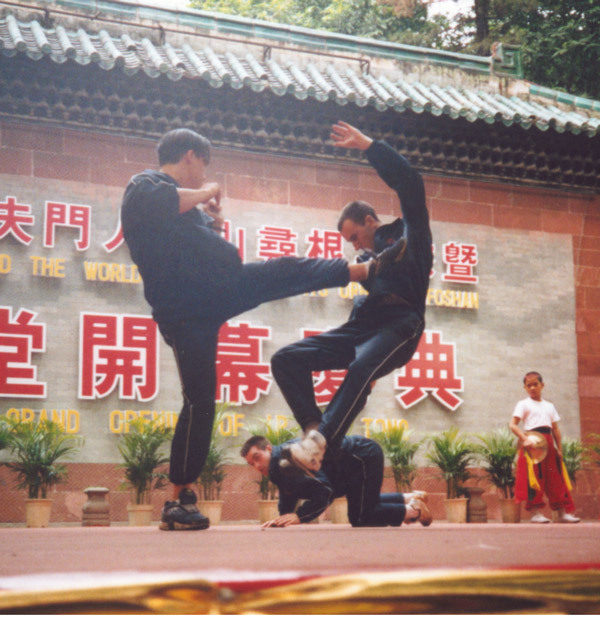 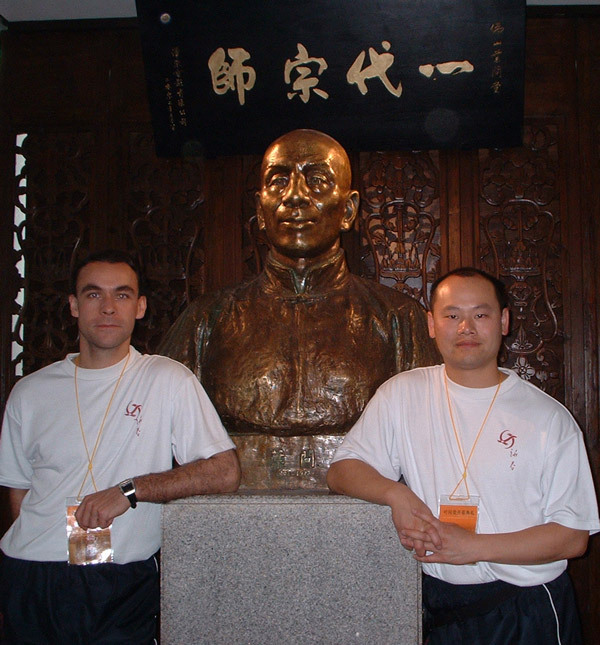 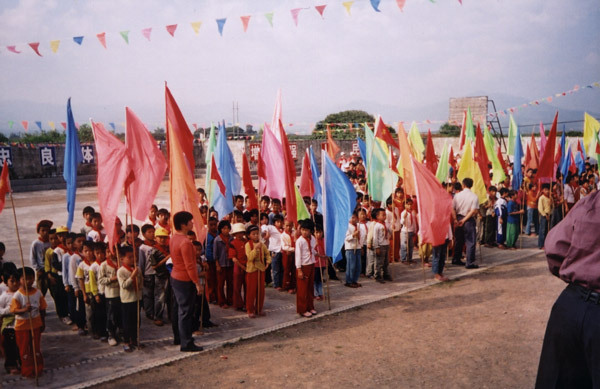 In November 2002 we had the honour and privilege of taking part in the opening ceremony of the Ip Man museum in Foshan, China. 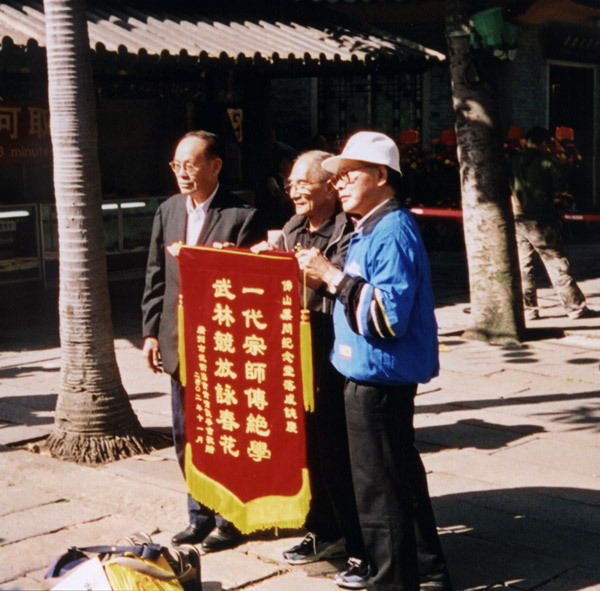 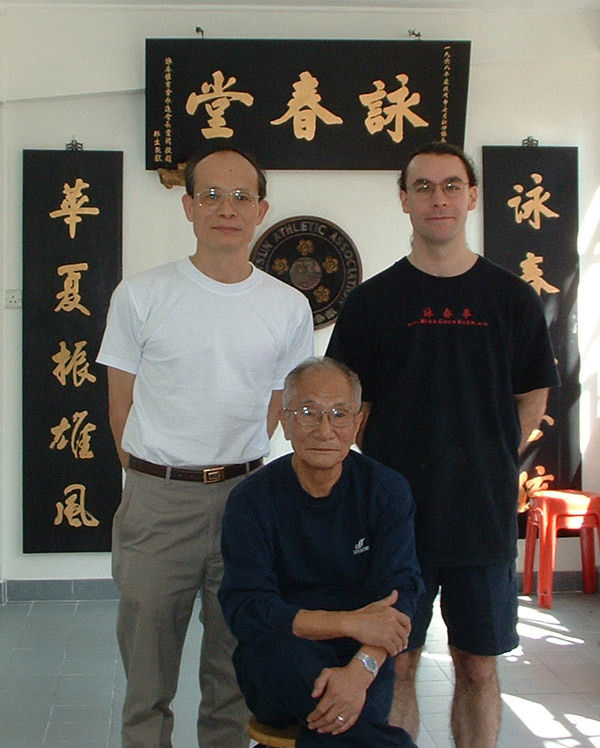 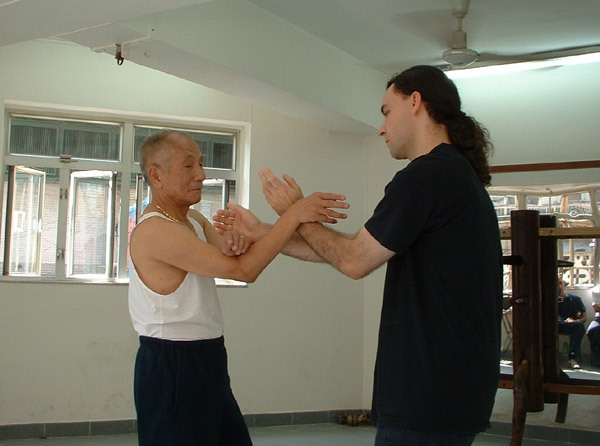 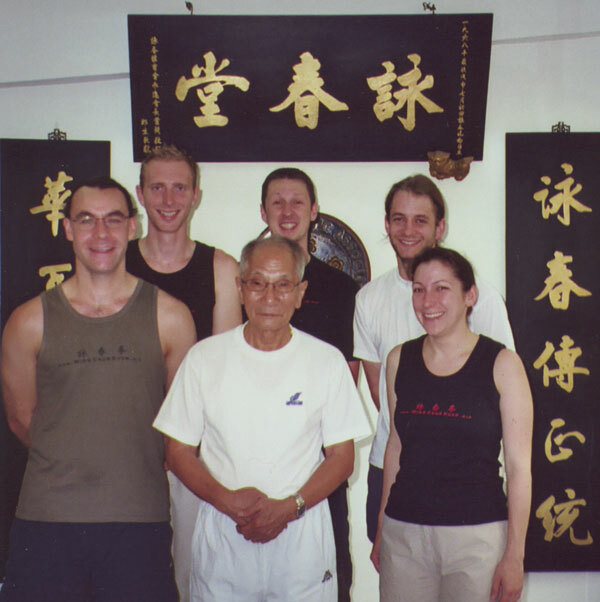 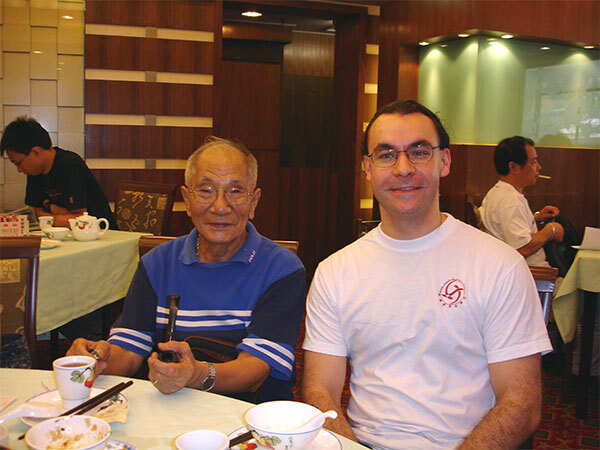 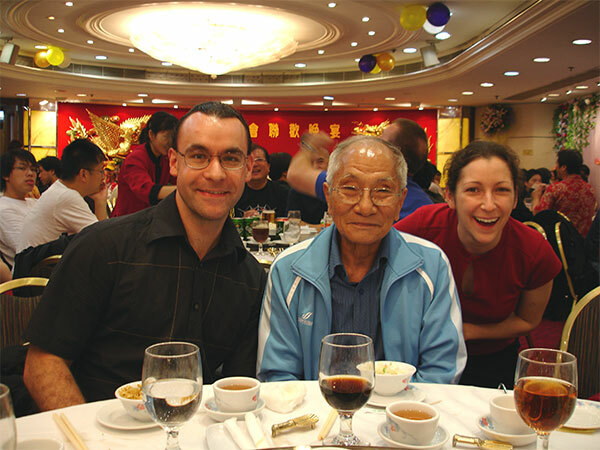 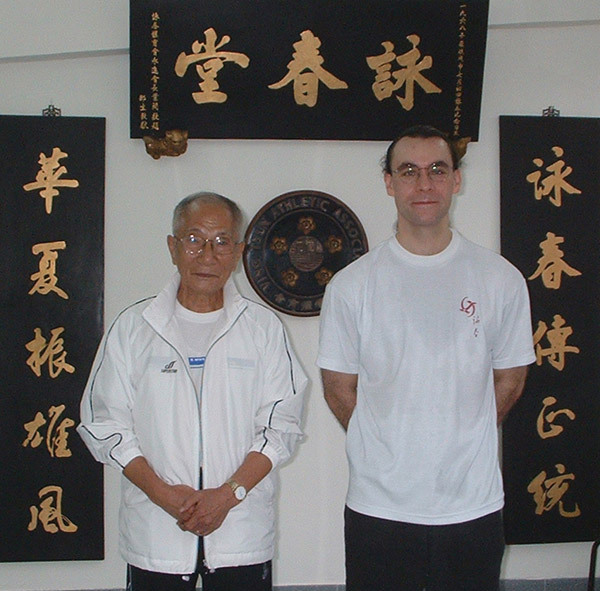 In 2004, master Ip Chun invited us to join him in Hong Kong for his 80th birthday celebrations, and again in 2009 for his 85th birthday! 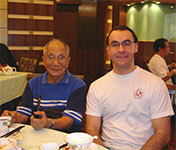 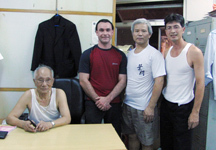 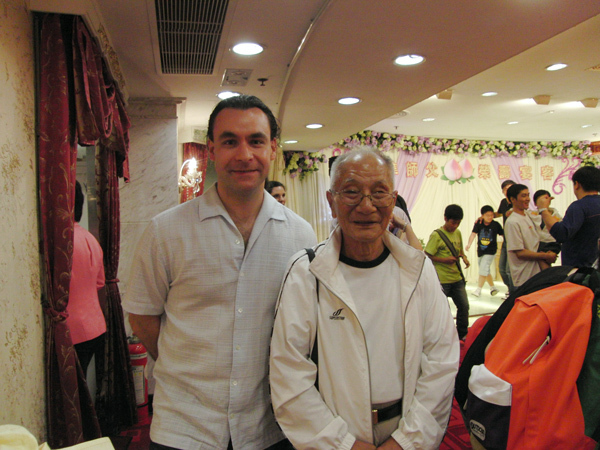 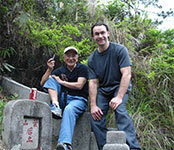 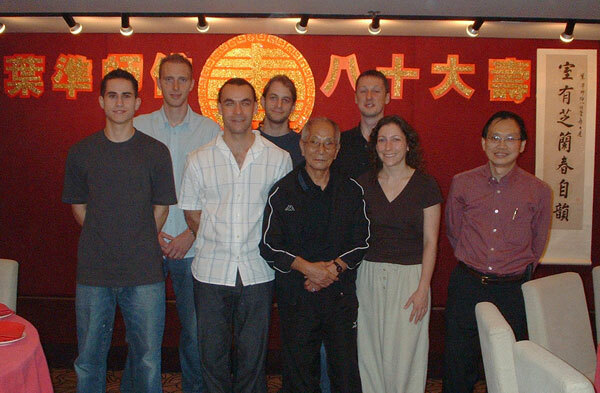 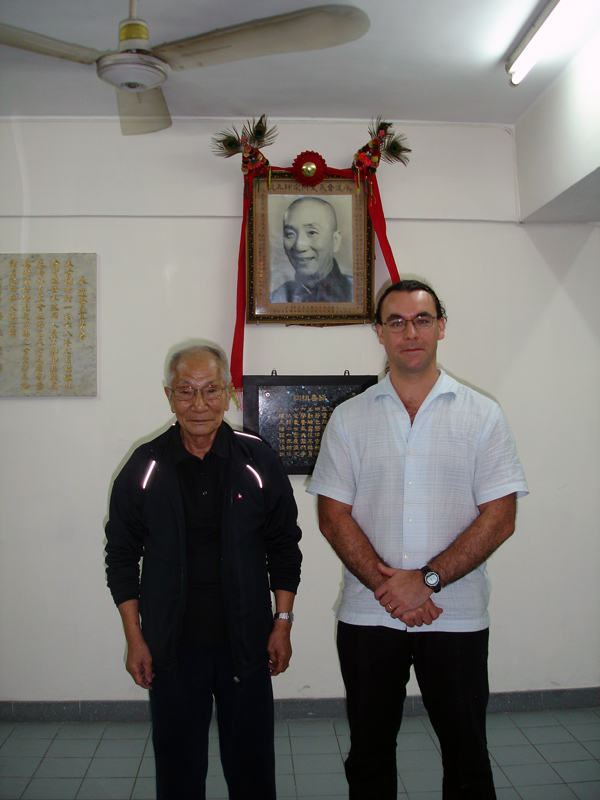 In 2013, John was delighted to attend master Ip Chun's 90th birthday celebration! 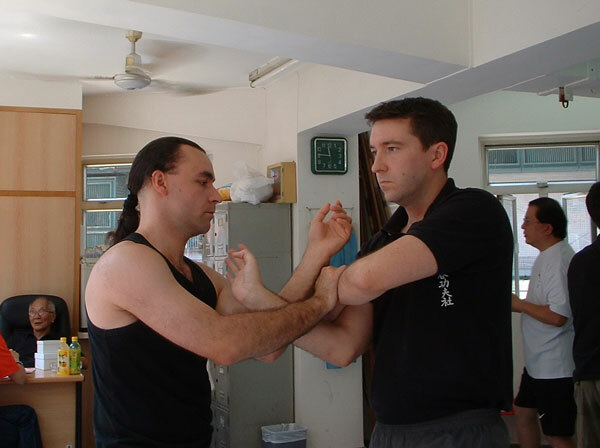 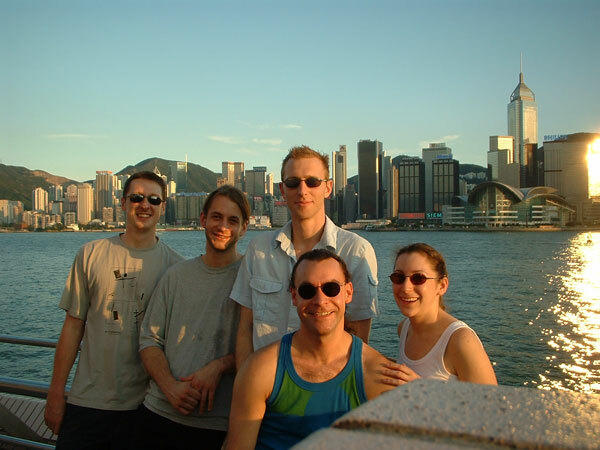 Below are photos of some of the exciting times that we have experienced during various training trips to Hong Kong and China. 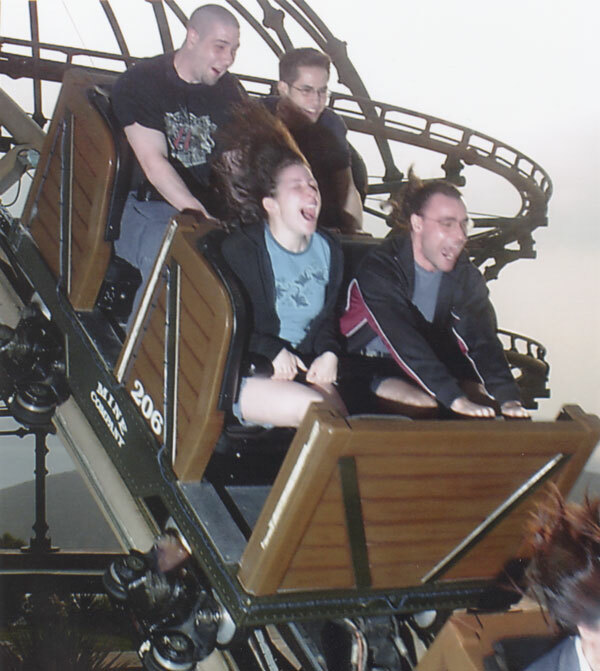 2010, 11, 12, 13, 14, 15, 16 & 17 trip photos to be added! 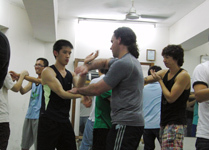 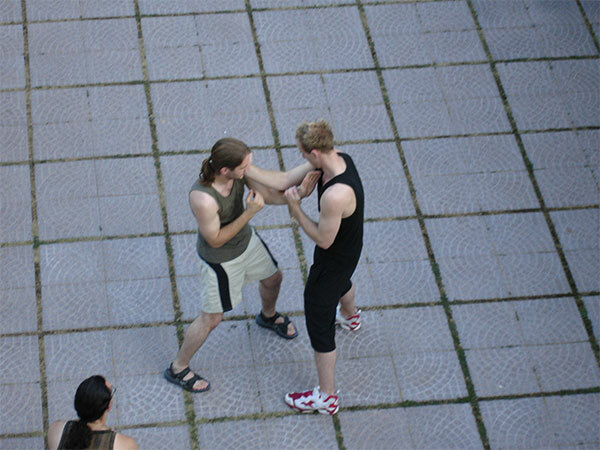 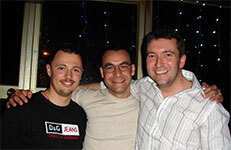 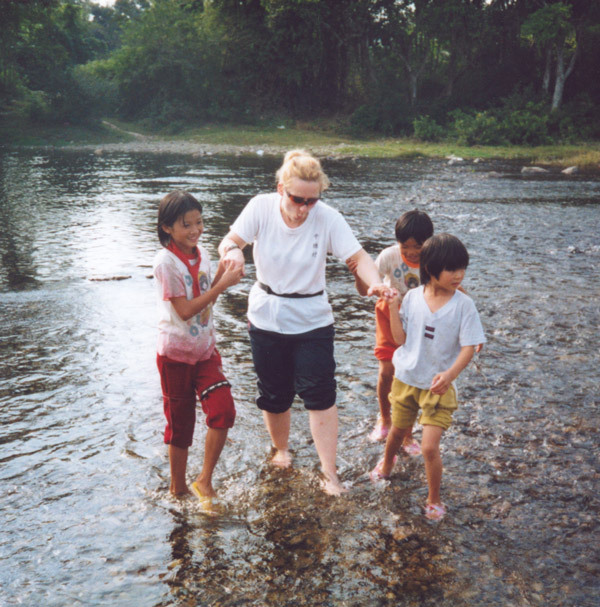 Our classes include students at all stages of development and beginners are always welcome. 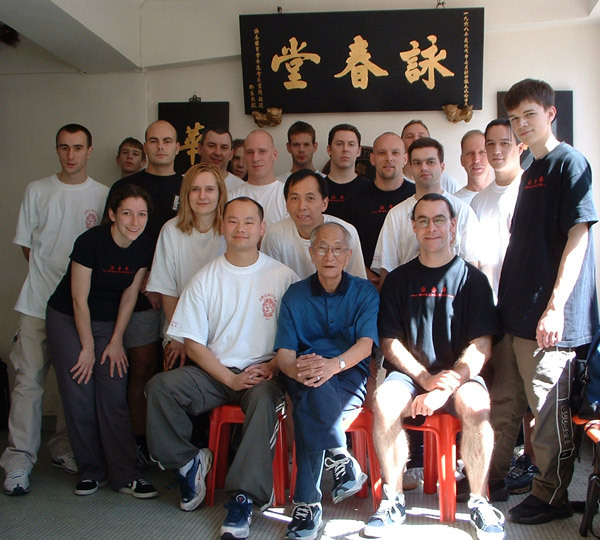 If you are interested in viewing a class or would like to start training with us, please take a look at training info to get involved! 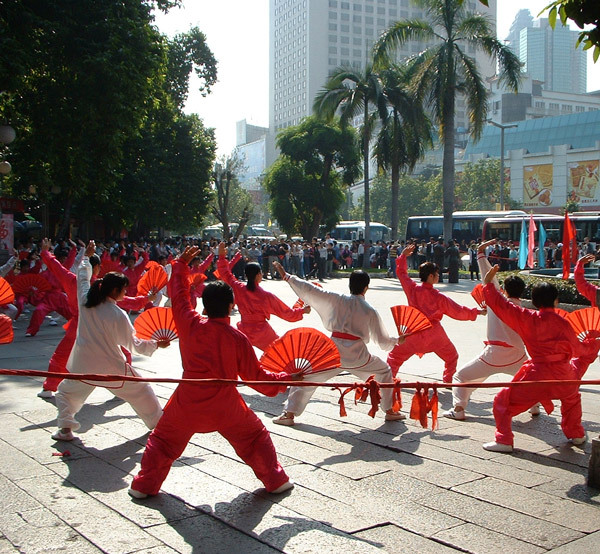 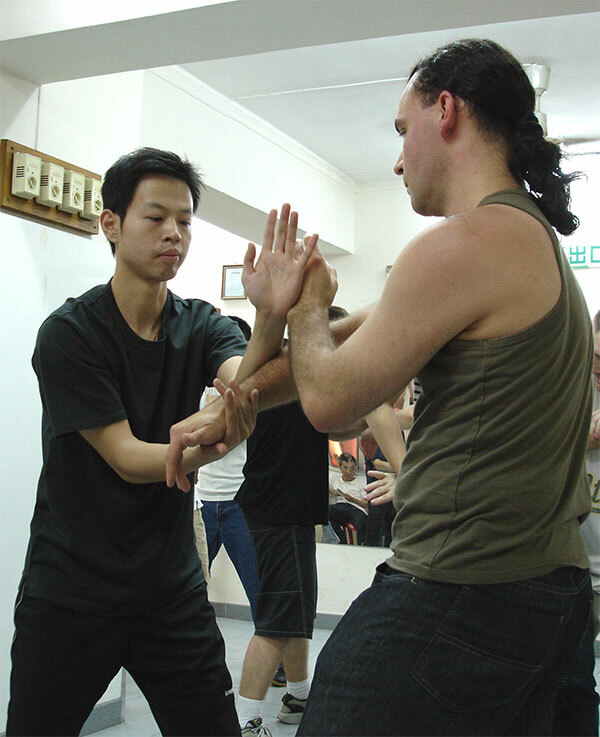 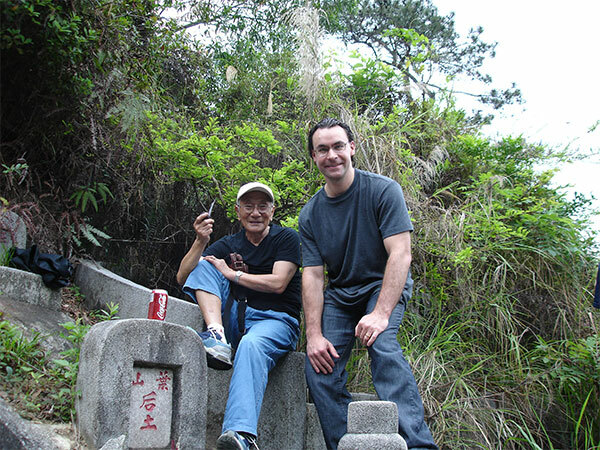 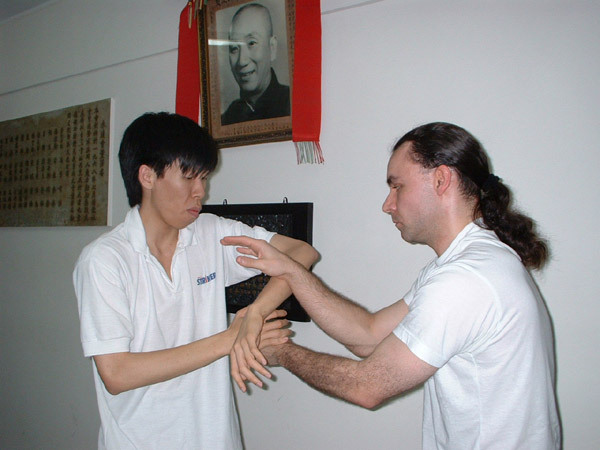 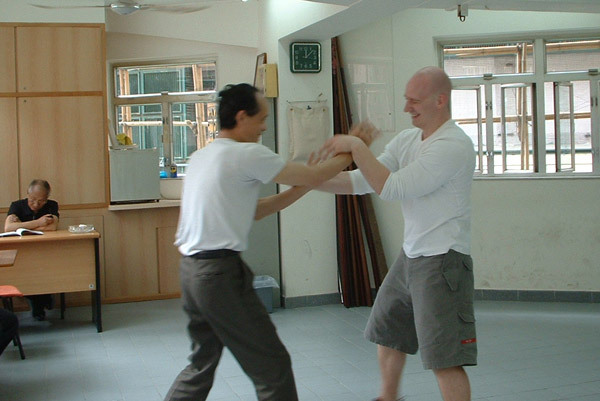 HONG KONG - SEPTEMBER 2009 - Master Ip Chun's 85th Birthday Celebrations! 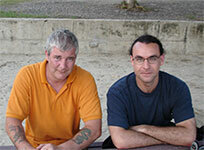 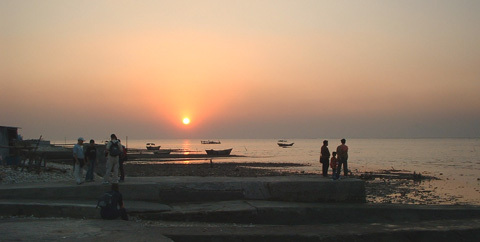 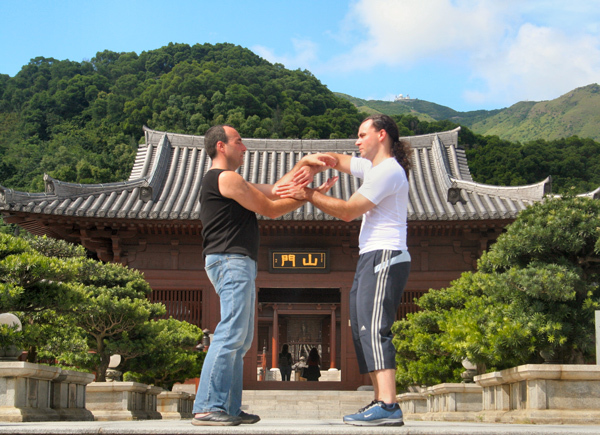 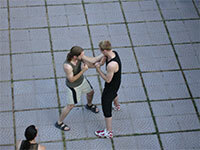 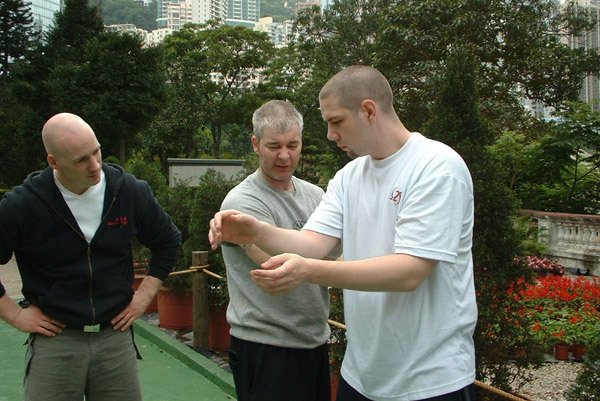 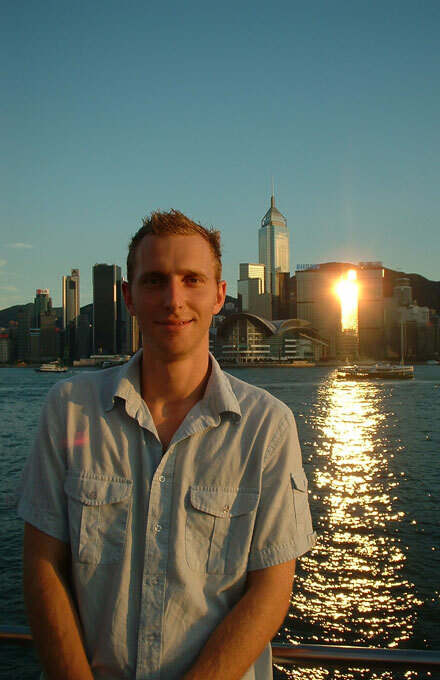 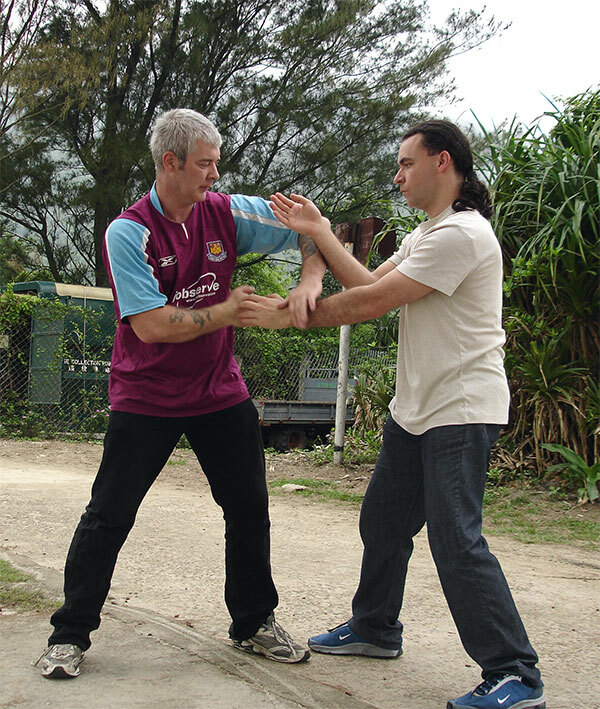 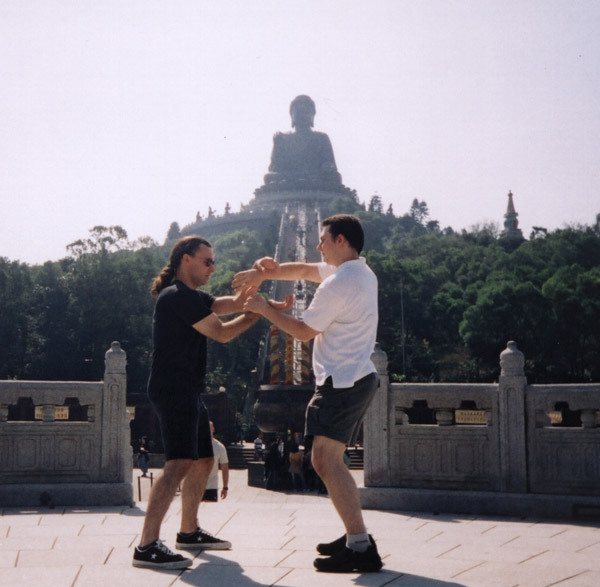 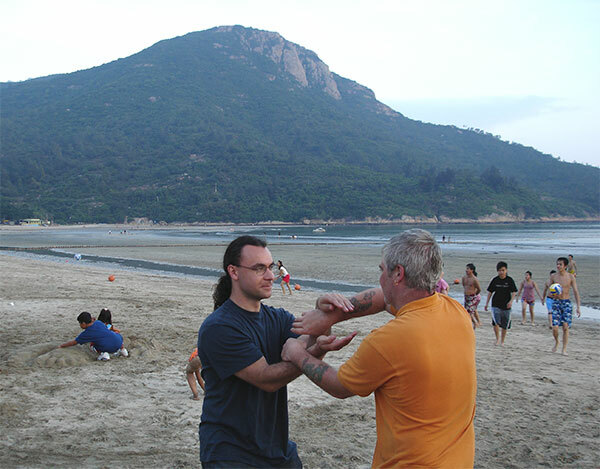 Photoshot for Shaun's book "Simply Wing Chun Kung Fu"
Sean & John training on Lantau Island beach! 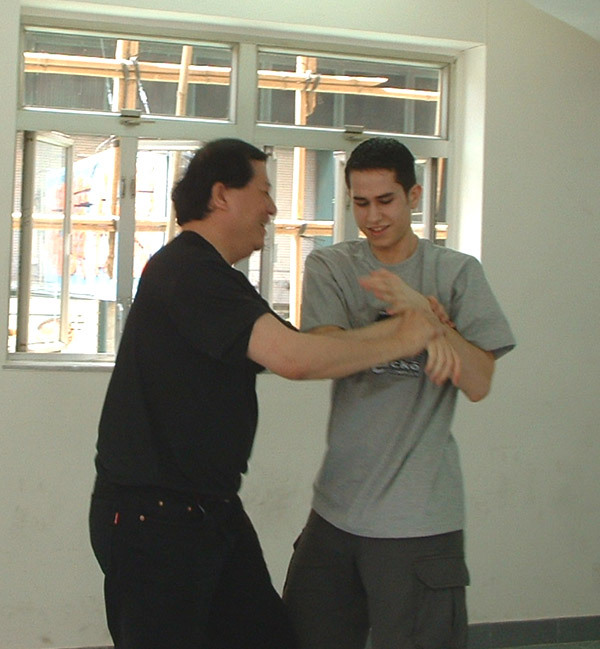 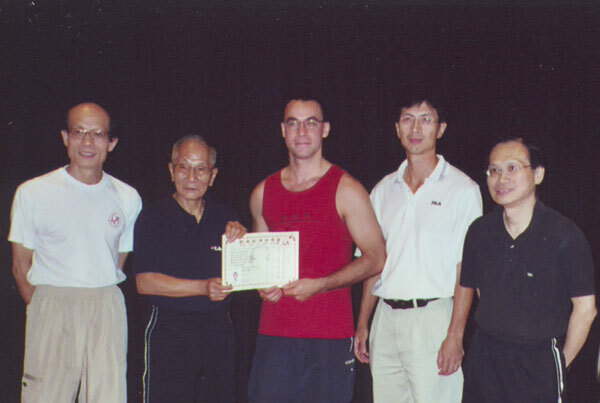 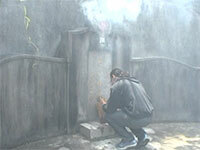 HONG KONG SEPT 2004 - Master Ip Chun's 80th Birthday Celebrations! 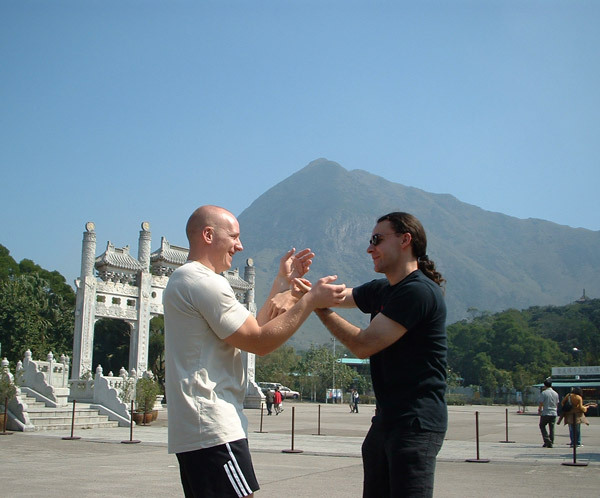 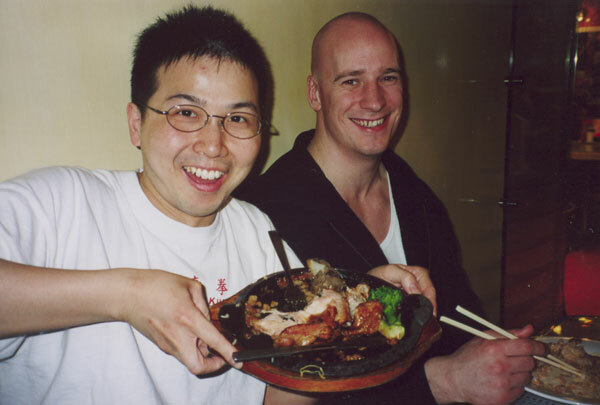 Paul & Phil having fun! 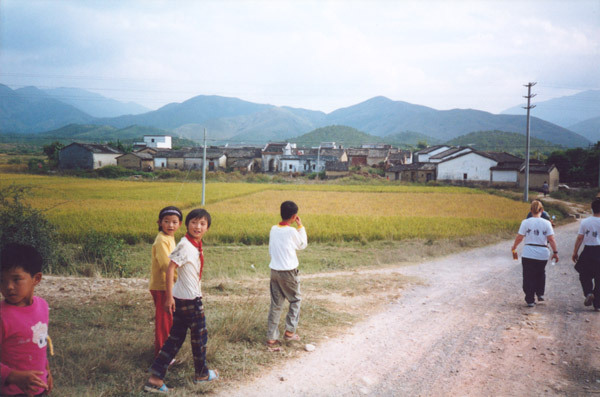 N.B., To view the graphics version of this website, a CSS enabled browser is required.